Royal Panda is one of the top online casinos in New Zealand, and this is for a huge number of different reasons. Why not find out why so many people in New Zealand enjoy playing at this site by reading the Royal Panda casino review below? At Gambling.co.nz, our goal is a simple one: to provide you with the detailed casino reviews you need, therefore enabling you to always pick the very best online casino to play at. This is why we've produced a huge number of different reviews of online casinos in New Zealand – including this Royal Panda review – all of which contain loads of really important information. Don't have enough time to read through the entire Royal Panda online casino review on this page, but still want to know how good they are? Well, if so, simply take a look through the scores we’ve assigned to this site below, and you'll get an understanding of exactly what we think of this popular online casino! As you can see by the scores above, Royal Panda is an incredibly good casino. 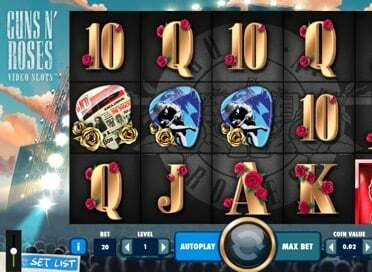 In fact, the scores above mean that we think it's the best casino out there for players in New Zealand. 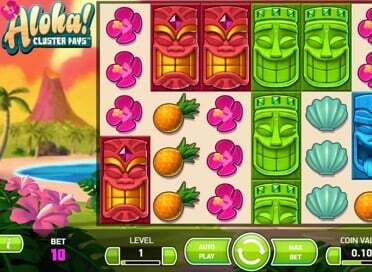 Why not find out more by continuing to read this Royal Panda online casino review? The first thing to say about the software at Royal Panda is this: instead of using just one software provider for their games, as other sites often do, they have elected to feature games from a number of different software providers, such as Microgaming, NetEnt and Playtech. This is great, because it means that they have a fantastic selection of games, and that all players should be able to find something new to play. When it comes to actually playing at the site, there is no option to download software to a desktop, meaning that all players have to play using the Flash site. This might put some people off when it comes to playing at Royal Panda, but will not affect the majority of people, as most people prefer using a Flash based site. You can be absolutely sure that you'll be completely safe when you play at Royal Panda, for a few good reasons. The first of these is that they're licenced by the Malta Gaming Authority, who constantly ensure that Royal Panda are acting honestly and fairly towards their players. They also have a licence from the UK Gambling Commission, which only further proves how reputable this online casino is. All transactions at Royal Panda are also extremely safe, as they use encryption technology to protect all personal information. There is no certification from eCOGRA or a similar organisation though, and it would certainly be good to see this added to the site, in order to further prove how trustworthy Royal Panda are. Next up in this Royal Panda casino review is the banking – a vital area of any site, but one often overlooked by new casino players. Luckily for those playing at Royal Panda, there are absolutely loads of different depositing options available, including many popular methods, such as credit/debit card, Neteller and Skrill. What's more, there are no fees attached to any of the depositing options, and the minimum deposit amount for all methods is just NZ$10. There aren't anywhere near as many withdrawal options though, as they only offer credit/debit card, Skrill, Neteller and Fast Bank Transfer. The minimum withdrawal amount of NZ$10 is really low when compared to other sites though, and there are no fees for withdrawing from the site. What’s more, withdrawals made using Neteller or Skrill are instant – the other options take 1–5 days. The games at Royal Panda are the highlight of the whole site, just as they should be. This is mainly due to the fantastic variety of different games on offer, thanks to the fact that Royal Panda have chosen to use games from many different software providers. Therefore, you'll find many great slots at this site – such as Gonzo’s Quest, Starburst and Mega Moolah – as well as a wide range of different table games. 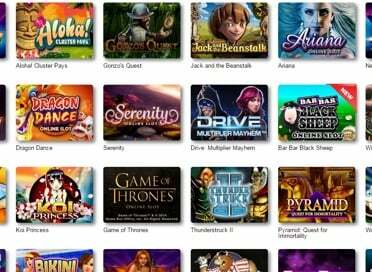 Video poker is also offered, however the variety of games isn’t too impressive. Perhaps the best aspect of the games at Royal Panda is the live casino though, which has sixteen different games for a player to choose from. This selection includes some less commonly seen live dealer games, such as Caribbean Stud Poker and Ultimate Texas Hold'Em. This part of our Royal Panda review looks at the customer service and, as you'll see, this casino offers some of the very best customer service around. Finding out an answer to a question or getting a resolution to a problem is really easy, for two reasons. The first of these is the fact that it's possible to contact Lucky Panda in a few different ways, namely live chat, phone and email. The second reason is thanks to the fact that the customer service representatives are nearly always really helpful, and also tend to respond extremely quickly. The fact that they offer a call back option for those wanting to speak on the phone makes their customer service even better. The welcome bonus at Royal Panda is a pretty simple one, and it also isn't as large as the welcome bonuses found at many other casinos reviewed on this site. All new players will be able to get a 100% first deposit bonus, up to the value of NZ$100, and this bonus money can then be spent playing any of the games on the site. It has a rollover requirement of 35x, which isn't too unreasonable, and players have 90 days to spend the bonus money. All new players at Royal Panda will also get ten free spins on the fantastic Starburst slot, without even needing to make a deposit. There are also other bonuses at Royal Panda, and the most important is probably the reload bonus. This adds an extra 50% to any deposit, however it is only available on a Friday. There are also often promotions that are specific to a certain game, and they also have a loyalty scheme. This loyalty scheme, called Loyal Panda, allows you to collect points as you play, and then trade these points in for extra cash to spend on the site, or for gifts. Overall, the bonuses at Royal Panda are good, but certainly not spectacular. Nearly everyone with a mobile device will be able to play at Royal Panda, as you'll see in this Royal Panda mobile review. Those with phones will be directed to the mobile optimised site when they play, while those using tablets will play directly on the desktop site. Android players will have no trouble at all playing at Royal Panda, and can do so using a range of different devices, from Samsung Galaxy devices through to devices from HTC. There is no Android app to download though. Those using an Apple device will also find themselves either on the mobile optimised site or the main desktop site, depending on the device they are using. Like all other mobile devices, Apple devices can be used to play over 200 different games at Royal Panda, all of which have been optimised to allow touchscreen play. There is no app for Apple players either. Don't be concerned if you own a BlackBerry as, unlike some other sites, Royal Panda have also ensured that you are able to play as well. This is the case for all BlackBerry devices featuring a touchscreen, such as the newer models with an Android operating system. Just type in the URL in your browser to gain access to the site. Windows Phone players are also well catered for at Royal Panda, and can also play a huge range of games simply by accessing the casino via their mobile browser. Overall, the mobile playing experience offered by Royal Panda is a really good one, meaning that most mobile players in New Zealand will be able to really enjoy themselves at this casino.